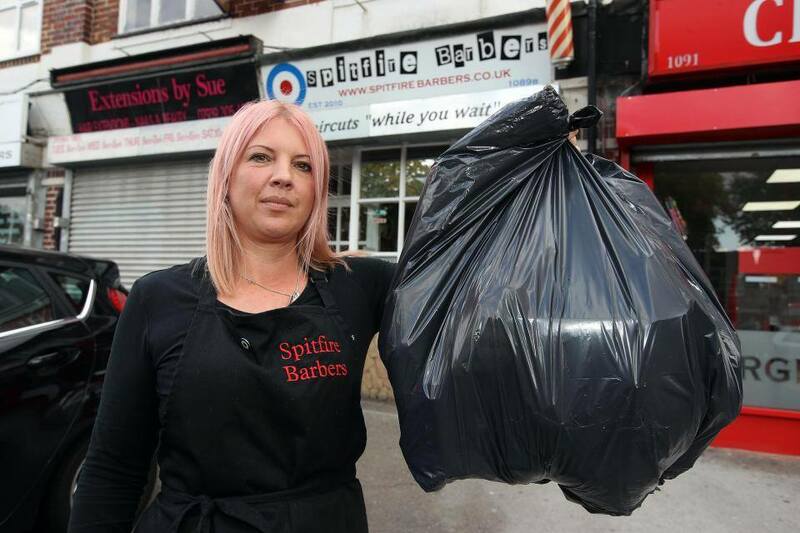 A hairdresser has faced a £2,700 bill that could leave her in financial ruin after using the wrong coloured bin bags. Claire Hall made the horrifying mistake of using domestic-style black bags instead of a grey trade one. It was this act that lead to the single mum and her former business partner being taken to court by Birmingham City Council and ordered to pay the £2,724 bill within a fortnight. “If I can’t pay, the bailiffs will come and that’s my shop gone, so I will have to empty my bank account,” says Claire, who was met with “57 page of evidence” and three “intimidating” visits from the council. However, the council has said that Claire and her business partner had admitted three offences under the Environmental Protection Act 1990 when officers first discovered the commercial waste outside in March of last year. They were issued five “demand for information” notices before they were finally prosecuted. Head of the Waste Enforcement Unit at Birmingham City Council, Tom Quigley, said the authority takes a “strong stance” against business disposing of commercial waste through domestic collections.